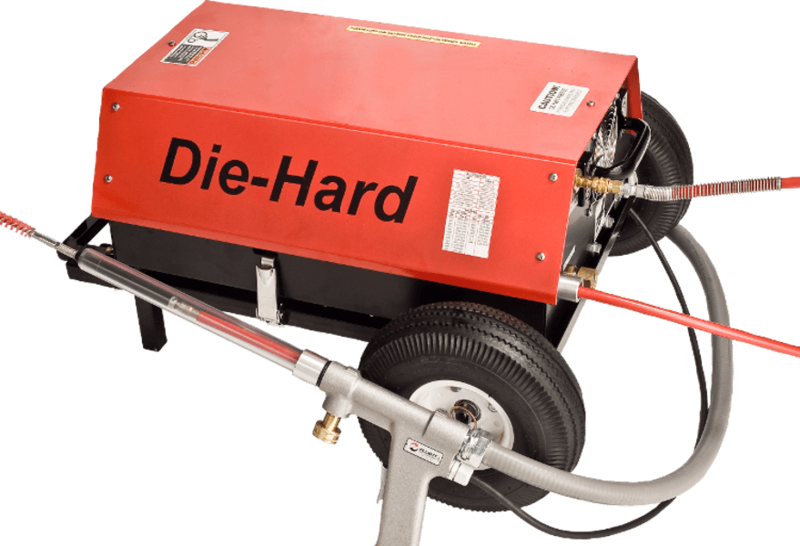 Pickford carries the Elliott Tool heat exchanger tube cleaning systems. These are available in a variety of designs depending on the type of deposit in the tubes and the type of tube. Heat exchanger tube cleaning systems are available for light deposits such a soot all the way to heavy gummy deposits and hard scale. 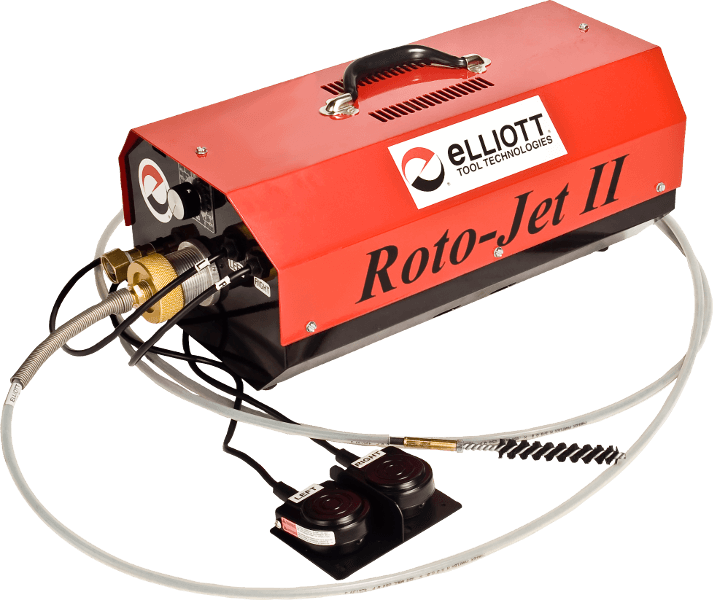 Elliott Tool Roto-Jet Cleaning Systems feature heavy duty shafts for cleaning heavy deposits and water flush for removal of debris. A variety of brushes are available for different types of deposits. Elliott Tool Die-Hard Chiller Tube Cleaner cleans light to medium deposits found in chiller, condenser, and heat exchanger tubes without a rotating cable. Water pressure provides the power for the brushing action. Pickford sells and rents select heat exchanger tube cleaning tools to all of Western Canada including Manitoba, Saskatchewan, Alberta, and British Columbia from our 40,000 sq.ft. Edmonton warehouse.